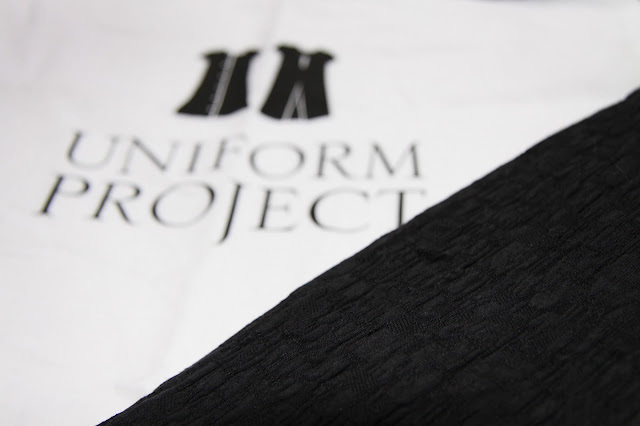 You probably know about the Uniform Project by now, if not then definitely check it out- it's a pretty cool idea. Basically- one girl wears one dress for one year. And raises money for schools in India. Right- so now you know. And I was lucky enough to get my hands on a copy of the pattern- it's all sold out now. Every now and then, I get what my Mum calls, "the sewing bug". So, as my boyfriend is away for work at the moment, I have converted my house in to a sewing studio... and I've got way too many projects on the go. Typical. Another one is a copy of this dress. I've done up a successful muslin, and cut into the expensive fabric, so fingers crossed. For the record, I used a combo of two patterns, Colette Patterns' Macaron and the Selfish Seamstress' Coffee Date dress, which if you are a sewing geek like me, you'll probably know. I've also cut out a muslin in the purple fabric above for the U.P. dress and hope to sew that up this weekend too. 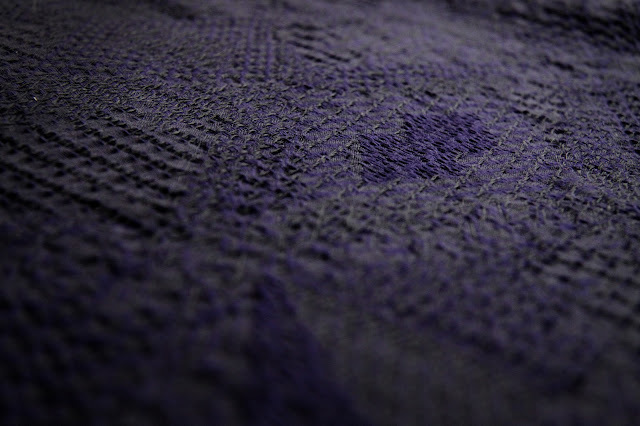 The black textured fabric above is the fabric provided with the U.P. pattern and I have to be really careful- I can't get any more of it! Hi there, I wondered if you still have this pattern? Is there anyway you would be willing to allow me to purchase a copy from you. I had tried to contact so many people connected to this project when they were orginally just sold out. 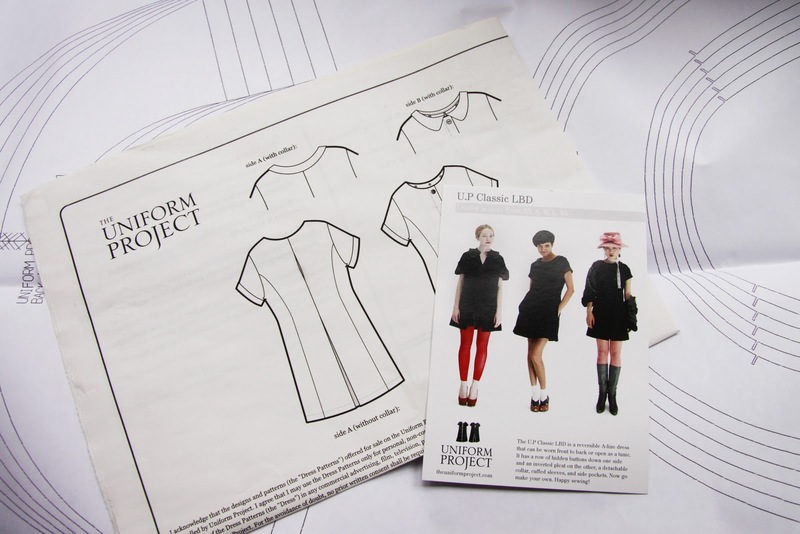 I did get one resonse to advise they were due release a new batch and it never happened and would love to make this pattern in a bid to create a more sustainable smaller wardrobe. I look forward to hearing from you.